In a nutshell: Upserve specializes in providing an all-in-one management solution for restaurants. Their service comes equipped with enhanced features such as sales reports, staff management, menu insights, customer history, reservation management, and business analytics. The company offers scalable pricing options to adapt to any business size, whether with one location or more than 50. Upserve POS solutions specialize in providing restaurants with the ability to manage their business from all areas including sales, staff management, menu insights, customer history, reservation management, and business analytics. The company offers scalable plans and pricing options to meet the needs of different sized businesses from one location to over 50. The Upserve Point of Sale solution focuses on helping restaurants run and optimize their business with an all-in-one software that manages financials, staffing, operations, and marketing. This means they offer tools tailored to the restaurant industry, providing essential features to improve profit and overall management. Features and tools include point of sale software, business reports and insights, customer history, reservation management, insights on menu items, and more. Larger plans allow businesses to handle multiple restaurant locations, larger staff, and so on. Upserve offers three different plans to meet the needs of different restaurant sizes and needs. Smaller restaurants can purchase the Core plan starting at $99 per month, per location. The Pro plan starts at $249 per month, per location and better suits restaurants with multiple locations and terminals. The Enterprise plan makes sense for larger businesses with 50 up to 500 locations. This plan requires a quote for pricing which you can get by calling their number at 855-664-3887. Upserve integrates many different and powerful features into their payment processing and data analytics software. This gives easy access to crucial restaurant management tools from one place which work together to improve management of marketing, operations, and financials. You can expect immediate assistance with Upserve customer support. Upserve conveniently has live chat available. Upon entering the website, a customer service agent takes the initiative to contact you via live chat in case you have any questions. 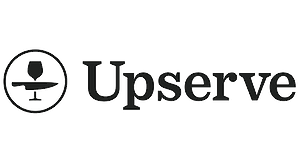 Upserve also hosts social media pages on Facebook, LinkedIn, and Twitter. You can also reach the company by phone or post.